Whether inside or outside the classroom, THiNK goes beyond building strong language skills to developing the whole learner-with an emphasis on critical thinking, positive values, and healthy self-esteem-ensuring academic and lifelong success. Interest-grabbing video and stimulating global topics. 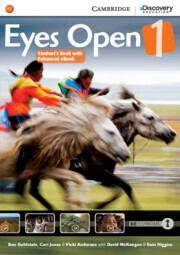 Eyes Open combines captivating video from Discovery Edycation with an effective lesson approach that promotes communication and develops critical 21st Century Skills. 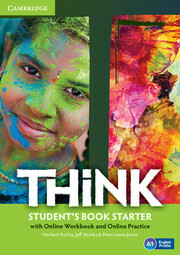 With Eyes Open, learning English will be much more interesting as students embark on a journey of discovery.